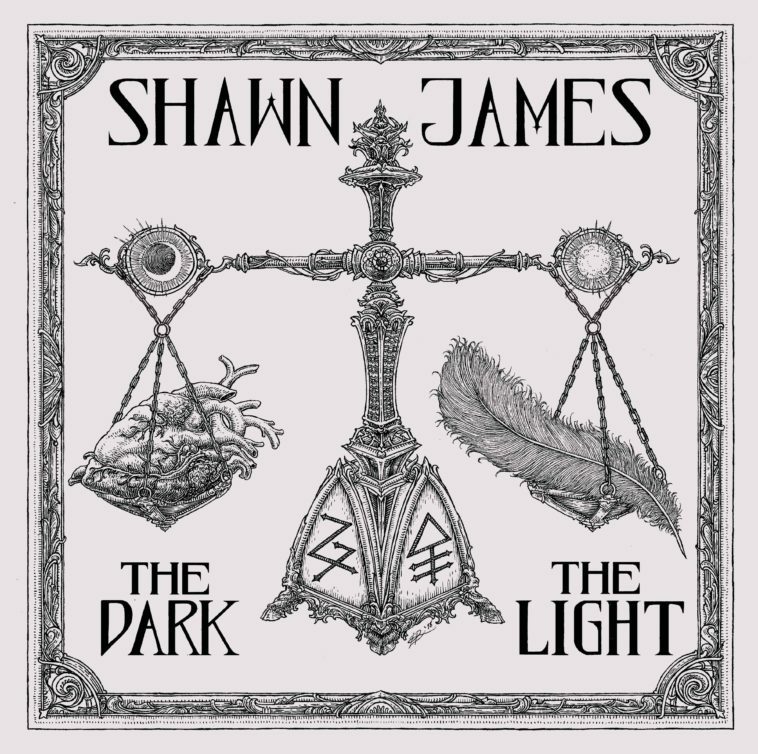 The Dark & The Light, the new album from soulful independent troubadour Shawn James, is set for release on March 22 on Parts + Labor Records. Born and raised on the south side of Chicago, James’ music is inspired by blues, gospel, rock, R&B and folk. His lyrics are informed by life experiences that include forcibly becoming part of the Pentecostal church in his youth and the loss of a loved one, but hope and love are always present throughout. James’ fans connect to his genuine sentiment and the way he opens himself up by allowing himself to be vulnerable through his art. His substantive songs encourage exploration as well as enjoyment both sonically and lyrically, but what stands out right away is his extraordinary voice. A gifted vocalist who studied opera and classical, he was a standout while singing in gospel choirs as a kid. With his voice, James possesses a remarkable instrument that is equally powerful and commanding as it is soulful and nuanced. Through his honest songwriting, his remarkable voice and his DIY ethos, Shawn James has been an independent musical force who has flown under the mainstream radar since his debut solo album in 2012. He tours extensively, playing 150+ shows annually in the U.S. and overseas. James has built a strong and dedicated fanbase world-wide who are anxiously awaiting a new album, and his music has generated over 75 million streams. His songs have been heard on television (HBO’s Shameless), in commercials (Harley Davidson) and even in video games (The Last Of Us, Part II). Fiercely independent, James accomplished all of this without a label, marketing team, publicity, promotion or even management. He has now found a likeminded partner in Los Angeles indie label Parts + Labor Records for The Dark & The Light and has chosen to no longer go it alone. The Dark & The Light opens with the engrossing a capella lead in to “Orpheus”, a tour de force based in Greek mythology and the message that love is stronger than all else, including death. The album cornerstone follows with the captivating two-part epic “Love Will Find A Way, Part I” and “Love Will Find A Way, Part II”, the two deeply personal offerings which were written about the loss of his father to alcoholism when he was five. The timbre in James’ voice exhibits his incredible range and falsetto while conveying the emotional weight associated with such loss and longing. James addresses the dangers of being quick to judge and condemn, as well as the parallels between America’s past and present, with the haunting “Burn The Witch”. The Dark & The Light is the fourth album from James and his most fully-realized work to date. Its overall theme is turning darkness into light, which James has always strived to do with his music, while hoping to inspire others to do so as well. His goal is admirable and needed, while also a gateway into the world of an artist with so much to offer.